It's often said that the gaps in between the notes are as important as the notes themselves. 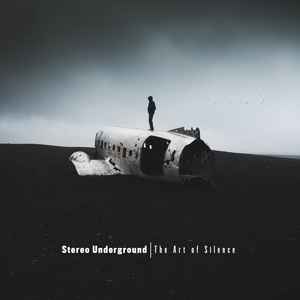 Stereo Underground pays homage to that attitude on his magical debut album, The Art Of Silence, immersing the listener in widescreen atmospherics, succinct, spacious arrangements, and stunning melody throughout. 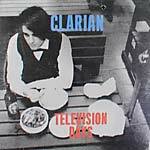 This wonderful record for Balance Music follows previous full-length artist albums on the Australian label from the likes of Clarian and Brian Cid. Born in Haifa, in the North of Israel, the artist otherwise known as Yariv Etzion began his musical life as a drummer, spending his younger years circulating in the city's hard rock scene. He discovered electronic music as a teenager when he moved to Tel Aviv, and soon began working at a record shop and DJing. His popularity rapidly grew, and production soon followed. 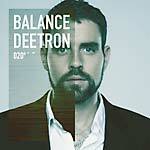 His output as Stereo Underground began 2009, and in his debut year he received high praise from MixMag and heavy DJ support for his hypnotic, progressive sounds. The project has always shown a great sense of musicality and ambition, and this full-length debut album is the natural culmination of his efforts over the last decade. "An album, in my opinion, is the holy grail for a musician," he says. "I waited 38 years to give myself the peace of mind I needed to do so. It took me ten months of writing, recording, sound design and mixing to create the final result." That meant doing so in both the mental and physical sense. He took the decision to relocate to a wooden house in the countryside to create this stunning album, turning down incredibly high-profile festival bookings plus remix offers and release requests in order to dedicate himself to his vision. It's an admirable approach that has yielded dividends. From the conceptual, ambient tones of opener "Flying Glow (Prologue)" through to the spine-tingling, airy breakbeats of closer "For A Moment Of Truth", this is a record full of slow-burning nuance and hypnotic progressions that induce a dream-like state in the listener. There are mellow piano tones on "The Art Of Silence", Moderat-tinged indie/dance crossover on "Little Red Head", which features Sealine, and trancey euphoria on "Above The Sea Of Fog". "Echoes" plunges into deeper territory and "Breakfast On Mars" gives a hazy, beatless breather mid-way through.